The first graph shows V8 running without concurrent compilation. 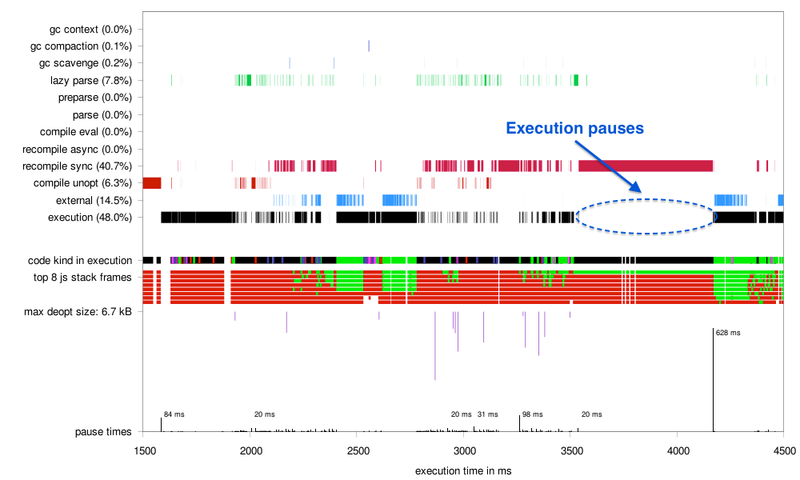 V8 is fully occupied with optimizing a large piece of code, causing an execution pause of more than 600ms. By enabling concurrent compilation, V8 still optimizes a large piece of code, but does it in a background thread. Execution continues alongside compilation, providing for a smoother user experience. For instance, concurrent compilation improved the Mandreel score of Octane 2.0 by 27% on a Nexus 5 and made graphic-intensive applications such as the Epic Citadel Demo run even smoother in Chrome. 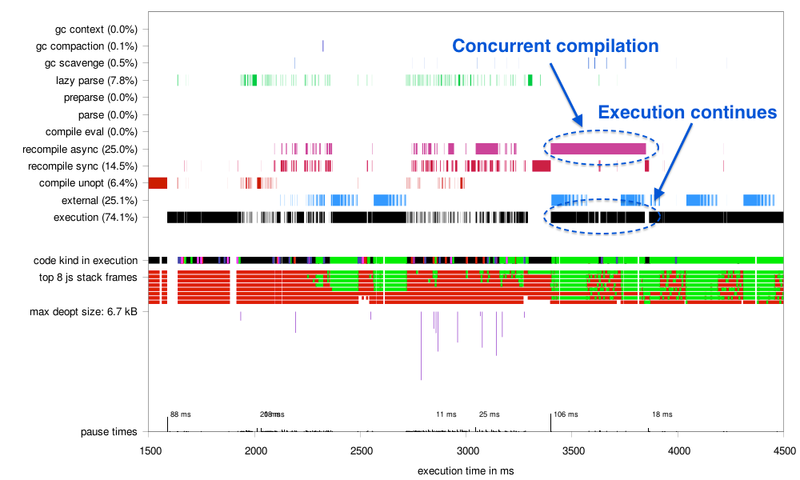 Concurrent code compilation is another step towards reducing latency in Chrome and is part of various ongoing efforts to deliver more responsive, smoother web applications.